My 5: The Happy Heart Cafe – Danang, Vietnam. 1. The Happy Heart Cafe, May 2018. 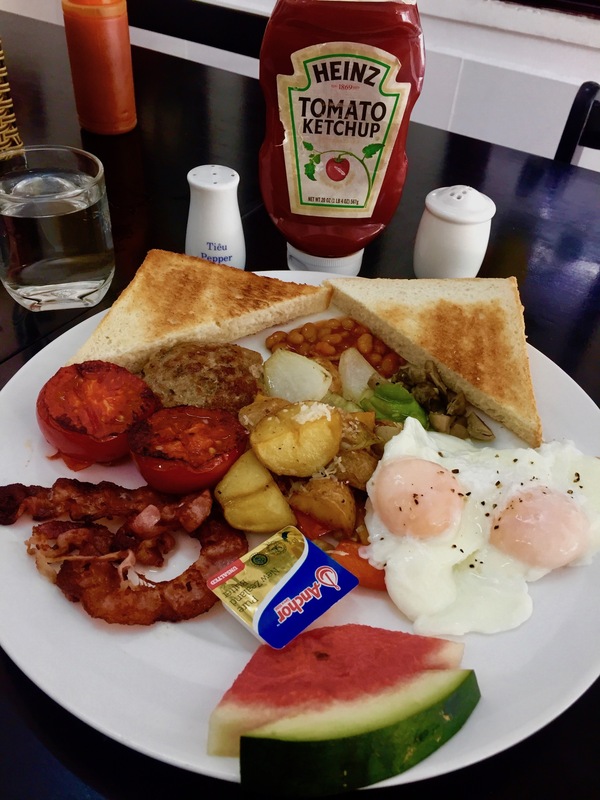 It was high time for my annual injection of English Breakfast, a culinary delight unavailable to me in Ruian, China; unless I perhaps cook it myself with substandard ingredients from the supermarket. So I just abstain, reminding myself that the next time I’m back on the road I’ll seek out just the right place and really enjoy it! Enter Danang’s Happy Heart Café, a joint so ridiculously recommended I felt I had to check it out. 2. The Happy Heart Cafe, May 2018. It was ten thirty in the morning and the Happy Heart was just beginning to warm up. A modest setup spread out over two floors, I was given a warm welcome by one of the waiters and treated to my own table up on the plant-bedecked balcony. 3. The Happy Heart Cafe, May 2018. 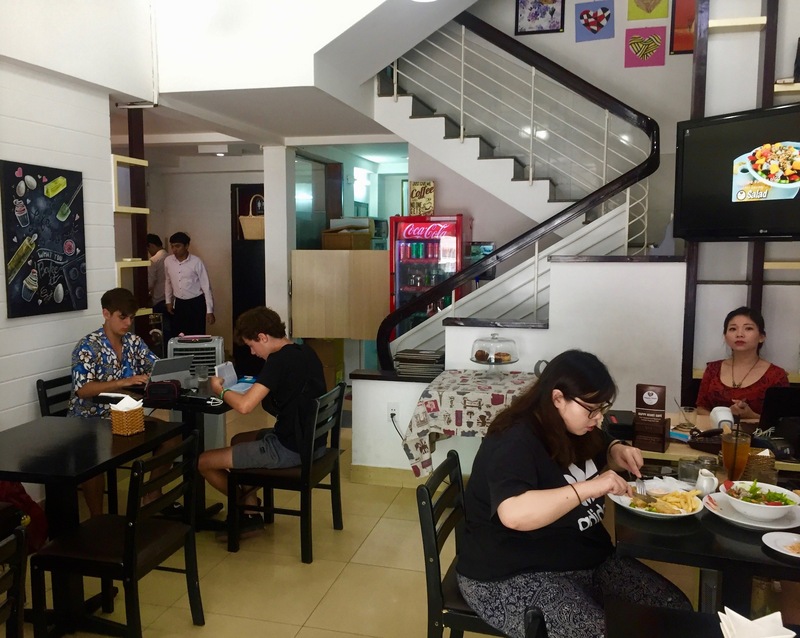 The Happy Heart Café is famed in Danang for some of the best western dishes in town and for its incredibly friendly staff. But I hadn’t been aware of the story behind the café’s inception. The owner, a smiley woman dependent on crutches to walk, told me how she’d started the place as a community for her hardworking, disabled friends. 4. The Happy Heart Cafe, May 2018. I wanted to give the menu a thorough inspection, so I ordered a fabulous coconut coffee and an orange juice in the meantime. In the end I went for their twist on the classic Full English and boy oh boy I was not disappointed! 5. 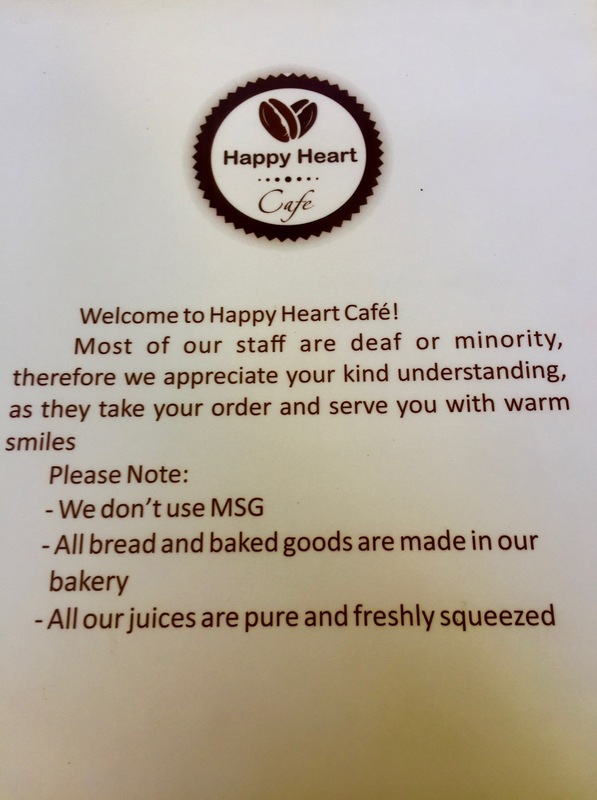 The Happy Heart Cafe, May 2018. 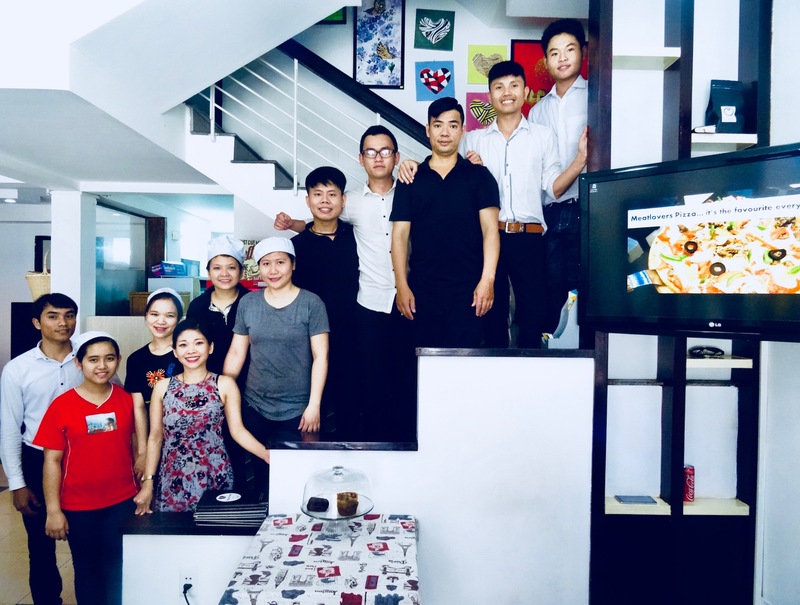 I was so impressed with the food and indeed the whole concept of the place that I asked the owner if the staff would all come together for a group photo. The Happy Heart Café is located on 9 Ly Tu Trong Street and is open daily from 07:30-21:00. For more on this amazing Vietnamese city, take a look at my other articles on Danang. Or maybe look further afield with my many more pieces from across Vietnam. My 5: Monkey Mountain (Son Tra) – Danang, Vietnam.